I wanted to share this birthday card I made for my granddaughter’s third birthday. 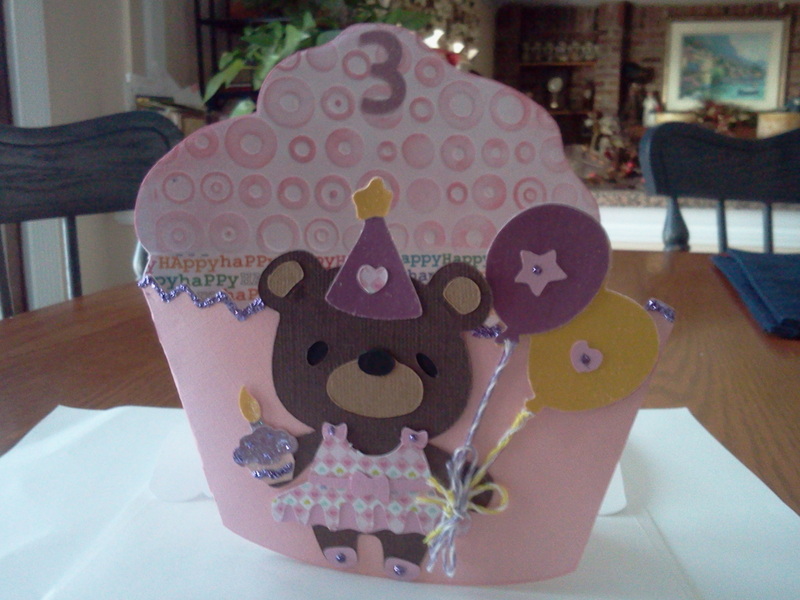 It is a shape card using the cupcake from the CTM Cricut Artiste Cartridge. The teddy bear is from the Teddy Bear on Parade lite cartridge. I love these cartridges. They have everything you could ever need. I am going to make several more of these without the birthday number for Operation Write Home. I could put a cherry on top instead. They are requesting birthday cards for children this month.